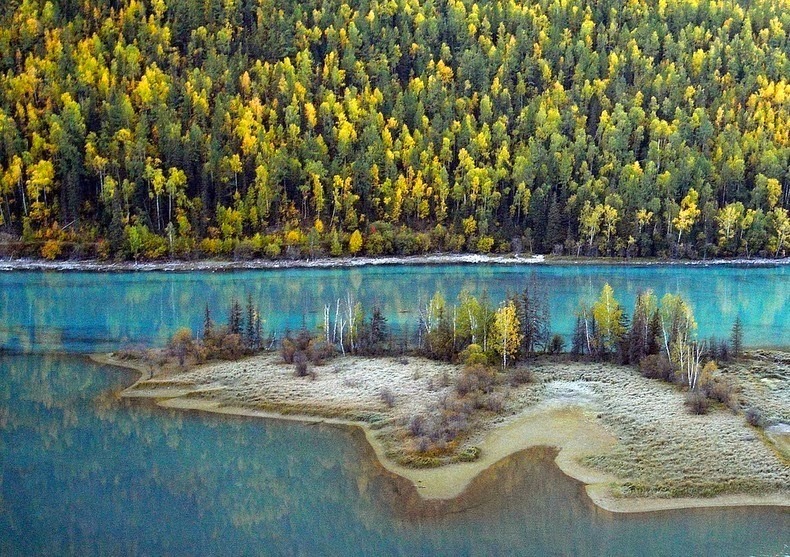 Kanas is a nature reserve located in the Altay mountains of northern Xinjiang in China famed for its beautiful natural ecosystem formed by lakes, rivers, glaciers, forests, and grasslands. The highlight of the Nature Reserve is the Kanas Lake. Originating from the Kanas Glacier in Altay Mountain, the Kanas Lake is located 1,375 meters above the sea level and covers an area of 45.73 square kilometers. The long bean-shaped lake gives rise to the Kanas River which flows out for about 125 km through pristine, alpine forest before discharging into the Irtysh at Burqin Town. In autumn, the picturesque landscape bursts into a riot of colors with gold, red, blue and green.